Why Call a Slab Lifting System The PolyBadger? According to the Guinness Book of World Records, the honey badger is the world's most fearless animal. With ultra-thick skin and top of the line fighting instincts, this creature is not to be messed with. It boldly goes where similar animals consistently fear to tread. "The Alchemy-Spetec PolyBadger lifting system is tough and compact. This system is an affordable entry-level slab lifting option for new contractors, as well as an extremely portable addition to the experienced contractor’s arsenal. 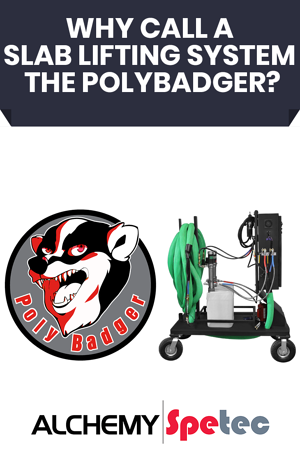 The PolyBadger is a lot less expensive than your standard 20-foot trailer rig. The setup is simple and requires minimal equipment. The entire system can easily fit in the back of a pickup truck!" The PolyBadger is smaller in size than most of the competition, at 30" wide and 48" long. Now that's what you call portable! This is one of the few systems powered through a common 120-volt wall outlet (vs the usual 240-volt requirement). Compatibility with common wall outlets exponentially increases your location possibilities. Essential elements (heaters, electronics, auto calibrator) are self-contained and protected in the cabinet for extra portability. The cabinet is constructed from powder coated carbon steel and the frame is constructed from carbon steel box tubing. The entire system is very maneuverable, resting on two swivel and two fixed 6-inch pneumatic castor wheels. The wheels are are filled with light weight polyurethane instead of air, so they don't go flat. The hose is built to last with a Teflon core and a stainless-steel braid. The system can operate with up to 200 feet of hose. 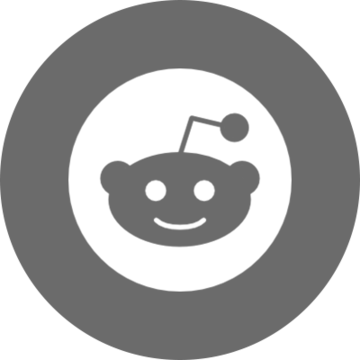 "The genius of the PolyBadger is the auto calibrator. It keeps the flow of A-side and B-side slab lifting material on ratio, eliminating the possibility of crossover clogging in the gun or the whip hose. The two low-pressure transfer pumps and auto calibrator are literally the only moving parts in the whole system. That means less downtime, less maintenance, and more productivity on the job." Want more information on the Alchemy-Spetec PolyBadger lifting system?